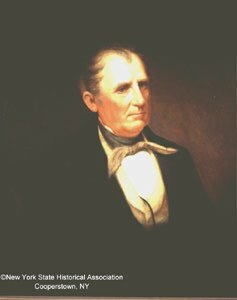 James Fenimore Cooper Society Page. This informative, well-organized, and extensive site has excellent information, including articles and papers about Cooper, a detailed chronology of Cooper's life, an "Ask Fenimore" feature, information about the Cooper Society, and much more. This site also has information about Susan Fenimore Cooper (Rural Hours and other works). Mark Twain's "Fenimore Cooper's Literary Offenses"
Paul P. Reuben's Cooper Page contains a bibliography, links, and the chronology of the Leatherstocking novels. The annotations in brackets were written by Hugh MacDougall of the James Fenimore Cooper Society, and information and links for the novels listed below are courtesy of that site. For more information and critical commentary on these and other Cooper works, visit the Cooper Society site. Note: The texts at Virginia are also available as free Palm and e-book downloads. 1826 The Last of the Mohicans; A Narrative of 1757. Last of the Mohicans site with images of the places depicted in Cooper's work. 1827 The Prairie; A Tale. Volume II: "chapter by chapter"; single text (660 KB). The Prairie. A Bibliomania "chapter by chapter" HTML text. 1830 The Water-Witch, or The Skimmer of the Seas. A Tale. circa 1836 The Eclipse. Account of the 1806 solar eclipse in Cooperstown. 1840 The Pathfinder. A Gutenberg .txt text. 1841 The Deerslayer: or, The First War-Path. A Tale. 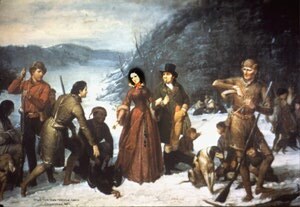 1843 Wyandotté, or, The Hutted Knoll. A Tale. 1848 Jack Tier; or The Florida Reef.